Are Small Flockers Special &/or Arrogant? Do Small Flockers need to admit to our arrogance, and our assumption that we're special and privileged? Why do Small Flockers assume that our grievances are important enough to be considered for attention and solution? Agri007 and Better Farming have both pointed out the upset felt by Restaurants Canada ("RC") at being snubbed by Ontario's Farm Product Marketing Commission ("OFPMC"). After decades of stonewalling and abuse by Chicken Farmers of Ontario ("CFO"), OFPMC is seeking input from all stakeholders about the current system for calculation Cost Of Production ("COP") for broiler chickens in Ontario. While OFPMC has asked for input, why are they stonewalling Restaurants Canada and others on the historic data on the COP system, and the current proposals on the table? It appears that OFPMC is asking for input because it is a politically correct step to take, but OFPMC really doesn't want the input, and won't use it to determine the COP solution eventually imposed on everybody. Perhaps this is the same as Stalin asking for any comments and suggestions on how he might improve his performance at leader of USSR. You must have a death wish if you raised you hand in that room. Restaurants Canada represents more than 30,000 businesses (eg. restaurants, bars, caterers, institutions and their suppliers) throughout Canada. The members of RC have more than one million employees; 80,000 locations; and 18 million customers a day. RC has been active for 70 years. In other words, RC is big and important. Perhaps they are bigger and more important than the #ChickenMafia. Why then, is RC being ignored by OFPMC? Can this be explained by #ChickenMafia being exclusively about chicken, and therefore their voice carries greater weight when it comes to COP for broiler chicken? This exclusivity is contrasted with RC being a broad, multifaceted group where chicken is just one of hundreds of issues that face RC and its members? RC has questioned the fairness of #ChickenMafia policies in the past. In August 2013, RC sent a letter to OFPMC about the reduction in the FCR (Feed Conversion Ratio) imposed on CFO and their chicken monopoly. That letter doesn't seem to have been answered by OFPMC in any substantial manner. OFPMC is taking a hands-off, laissez-faire approach, letting CFO do as they please. In RC's 2013 survey of restaurant menu trends, locally produced white meat, organic poultry, and free-range poultry were all top issues in the latest trends. Sounds like Small Flockers may have many things in common with RC and its members. Of course, #ChickenMafia can't discuss any of those RC issues, as the #ChickenMafia fall far short on serving any of those demands by RC's customers. If RC gets stonewalled and ignored by OFPMC and others in the #ChickenMafia, is it any wonder that I and Small Flockers' plight gets the cold shoulder from the #ChickenMafia? If RC is ignored and dismissed, do Small Flockers assume that they are a higher priority? Is this proof that Small Flockers are as arrogant as the #ChickenMafia? No, I don't believe Small Flockers are special. Just because Small Flockers are small and just 1.5 years old, doesn't mean we need to abandon our cause. Yes, Small Flockers case is close to impossible. All great struggles are near impossible at first. That's what makes them a "great struggle". Small Flockers need to be patient, for this unfair, unjust, illegal stripping away of our rights and freedoms will not be solved in the short term. We need extreme stamina. RC's Dave Barlow spent more than 10 years fighting against the unfair and disabling Supply Management Systems for chicken and dairy, finally making progress with access to TRQ chicken and lower tariff cheese. Can Small Flockers expect faster response to our needs? I doubt it. Our cause, like RC's related cause, is just. That is why the #ChickenMafia feels they must deny, distract, dissuade, and deter all complaints and questions against SM. If one threat is allowed to be seen and then pulled, the entire SM garment will unravel and disappear before our eyes. The #ChickenMafia would be standing naked before us, soon scoffed at and ridiculed for its scrawny chicken legs. Everything must be resisted, attacked, or ignored, or the #ChickenMafia risk everything. Chesapeake Bay is badly polluted from the phosphorous and nitrogen from mega factory chicken farms. Over 20% of those farms have failed to disclose what they did with their chicken manure, contrary to state law. Now, Maryland is fining these arrogant and non-compliant CAFO (Concentrated Animal Feeding Operations) for chicken in the North East United States. Since July 1, the Maryland Department of the Environment has issued notices of violation to 104 of the state's 574 "animal feeding operations." Those are farms that are regulated like factories because of the large volumes of manure generated by raising 37,500 or more birds at a time. In a previous Blog posting, I explained how bad this pollution has been (see Buried Alive In Chicken Manure). CAFO chicken farms produce 94% of all nitrogen pollution in streams and lakes of SDelmar Penninsula, and Chesapeake Bay. Layer chickens are 150 birds per NU. This means layer farms with more than 45,000 layers must have a Mutrient Management Plan. Broilers are from 100 to 351 birds per NU (12-week to 8-week grow cycle). Therefore the smallest broiler farm that must prepare a Nutrient Management Plan is as low as 300,000 broilers. Quota-bearing chicken farms produced about 192.7 Million birds per year in 2013. The average quota chicken farm raises 187,813 birds per year. The smallest available quota farm CFO permits without special permission has 14,000 quota units, so with 6.5 grow cycles per year, the minimum factory farmed foul is 91,000 chickens per year. Based on the previous estimates I made on the Gorillas in the Ontario chicken coops, there is about 71 chicken farmers in Ontario who must have a Nutrient Management Plan (ie. just 7% of the 1,013 quota-based mega chicken farms in Ontario). This is half of the number of farms in the largest production class, as the median quota units is about the threshold value for the NMP (Nutrient Management Plan). So if US mega farms are the leading culprit in nitrogen pollution, and 93% of Ontario chicken farms get an exemption on nutrient management, guess how bad the chicken nitrogen pollution is in Ontario? With 93% of chicken farms with a nutrient management exemption, we are flying blind. We will know we have a problem when it is too late; the damage will have already occurred when we realize the problem for the first time. These nutrient management exemptions are obviously in the short term best interest of the mega chicken farmers. Is this truly in the public's best interest? 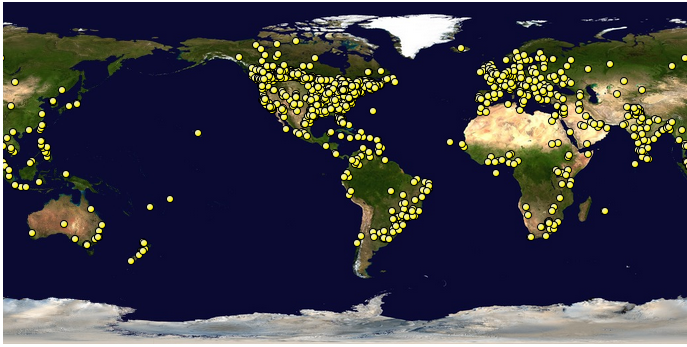 Today, we crossed a significant milestone, with 100,000 pageviews by our world-wide visitors. While Canadian visitors have been continuously in the lead here, there have been others who came from more than 136 different countries. All of these visitors came here because they were intrigued, or curious, or concerned. All of these visitors were exposed to Canada's appalling third world conditions in the Supply Management ("SM") food supply systems, and the terrible consequences for Canadians. Of those who came to this Blog, most considered, some believed, a few scoffed. A very few denied, became angry, and attempted to shoot the messenger. While the response to this Blog varied, we have tried to keep to a consistent, balanced voice of reason that is committed to the long term goals and needs of Small Flock poultry farmers and Canadians. This is not a struggle that will be achieved in a few days. The forces of Supply Management are strong; entrenched insidious tentacles have grown stronger during this 50 year infestation. The #ChickenMafia, just one of the branches of SM, have paid friends, lobbyists, and well spread graft everywhere. Riding on the SM bandwagon is very lucrative for the friends of SM. Mercenary monies helps ensure loyalty by the few who receive the graft. However, SM is doomed to fail eventually. SM depends upon providing significant economic benefits to a few, at the disadvantage and increased cost to everybody else. As the cost burden of SM grows more and more, and people are economically squeezed more and more, the system will eventually reach a breaking point. The majority will soon be unwilling or unable to continue paying the SM premium prices for the questionable quality of the goods produced. Sooner or later, the SM system will fail. The role of this Blog is to hasten the process, and prepare an alternative system to better serve the people of Canada. Small Flockers are up to the challenge, once we are given the opportunity to perform. Pick one of our postings, and send it to your friends with your personal comments on why it is your favorite Blog posting. Write to your MP and MPP to tell them what you think. Invite SFPFC to come speak to your group, your friends, your church congregation, or at your community hall. We'd like to share the research we have done and recommend solutions that you can support and/or implement locally for safe, nutritious, locally grown, affordable food for your neighbourhood, community, or city. If SFPFC isn't presenting in person, then by high speed Internet Web meeting, or we can provide you with the presentation that you show to others on our behalf. OMAFRA Appeals Tribunal previously decided to summarily dismiss our appeal before it was heard. We have now filed a written request within the 30 day deadline, asking the Tribunal to re-consider its decision to summarily dismiss our appeal. This is somewhat of an act of desperation. It is unclear if a Tribunal is able to self-correct any errors that it may create from time to time. In this case, that system of correction will be put to the test. The lack of clarity, and the numerous ambiguities throughout the decision. The silence of the Tribunal on the key case law that is relied upon. Did the Tribunal agree with these relevant case law? Do they feel bound by it, that their decisions must comply and follow the case law established by higher courts of law, up to and including the Supreme Court of Canada, or can they safely ignore these cases, and strike out on their own path? I believe the Tribunal should have commented on each case relied upon, saying how the Tribunal interprets that case, and how the Tribunal applies it to this case. Note that I, as Appellant, was the only one to use and refer to any case law. Perhaps that is why the Tribunal ignored the case law. Similar to the case law, I made a number of arguments and explanations to explain and justify my positions. All or most of these were silently ignored by the Tribunal. I wonder why? I believe the Tribunal should have provided reasons why they ignored or disagreed with those arguments, or why they were insufficient to convince the Tribunal to adopt my position. The Tribunal is supposed to decide all the issues before it. There were a number of issues and motions that I made that were not decided. Some of those motions could have cured the alleged defects that the Tribunal complained about. Rather than considering those motions, the Tribunal ignored them. I want to know why those motions were not considered. How the punishment doesn't fit the alleged offense(s). The Tribunal has used the legal equivalent to the nuclear bomb to swat a pesky fly. The Tribunal said they feared that I would use this appeal as a toe-hold to attack the entire Supply Management system. It seems I am punished for what I might do, rather than what I have actually done, or what I should have done in the past. This is tantamount to thought police, or pre-crime punishment as in the movie Minority Report. The Tribunal says they are in control of their Tribunal. Then let them control their process during the hearing of my appeal, so their fear isn't realized. However, let the appeal proceed on the proper hearing about the illegal and unjust stripping away of the rights and freedoms of Small Flockers by the out-of-control CFO. Reasonable apprehension of bias against one of the Tribunal's panel members, and the acquiescence or abdication or demurring of the other two panel members, instead of stepping in and helping prevent or correct these obvious biases and unfair actions against our appeal. So what do you think happens next? Will the Tribunal be able to self-correct its flawed processes? Will we have to proceed to the second-last step in this tortuous path to justice? I am planning to request the Tribunal to re-consider its decision to dismiss my appeal as frivolous, vexatious, and bad faith. The Tribunal ruled on Sept. 24th, 2014 that my appeal for the rights and freedoms of Small Flockers would be summarily dismissed before any of the issues could come to trial (see Blog posting Case Dismissed: The Appeal Tribunal has Spoken). I have until close of business on Friday Oct. 24th to get it submitted, so we don't have much time. I appreciate your effort to find the time to carefully read it and share your ideas. 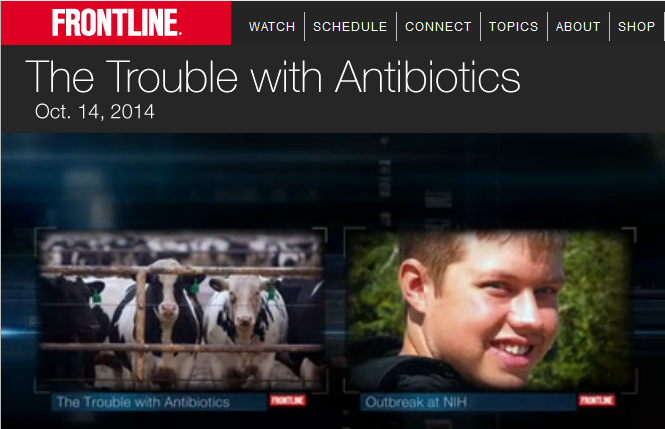 PBS Frontline has done a hard hitting documentary on the risks and costs associated with excessive and improper use of antibiotics. Women in Flagstaff AZ were showing up at Doctor's offices and hospital Emergency Rooms with urinary tract infections ("UTI") that were not easily cured. The infections were resistant to multiple antibiotics. When scientists looked at the proximity between those women and CAFO (Concentrated Animal Feeding Operations) for pork, they found a significant correlation. If you lived near a CAFO, you had a high likelihood of developing a drug-resistant UTI. Drug resistant UTI's take significantly longer to cure. While searching for the right antibiotic by lab tests, the infection engulfs the bladder, and starts its nasty work on the kidneys. At the kidneys, the bacteria soon crosses over to the blood, often leading to septicemia. That's when you have a significant risk of quickly dying. To confirm the link, raw meat samples were collected from local grocery stores over a 1 year period. Those samples were tested for bacteria, and identified by their DNA sequencing. Samples of the UTI infectious agents sampled from the women's UTI's were also sequenced. The scientists soon discovered more than 100 matches of the DNA fingerprints between the grocery store meats and the women's drug resistant UTI's. Meat industry spokespersons and lobbyists said this DNA matching between grocery store meat and UTI's was mere coincidence, or suggested that nobody really knows how the women got those infections, nor how the meat came to have similar bacteria, and this was inconclusive evidence. When PBS put those statements before the scientists who found the correlaation, the lobbyists' propaganda was soundly rejected. The scientists said all the other possible explanations are vastly improbable. The women likely shop for the meat, the meat is contaminated with drug-resistant bacteria, the women become contaminated from the meat, and eventually, a UTI occurs. Pretty simple explanation of the scientists' data. Occum's Razor seems to apply, and the scientists' explanation seems to pass. The evidence of the cost and consequences from improper use of antibiotics on farms is growing every day. How long will the strong farming lobby be able to resist and deny the risks they create for the general public? In the second part, we see the scary story of a hospital having an outbreak of a Superbug infection at an Intensive Care Unit ("ICU"). Many patients died during the 6 months that they valiantly fought to get rid of their uninvited, deadly guest. Another study has found that Canada's Supply Management is a regressive policy which hurts the poor significantly more than the rich. Canadians in major Canadian cities are forced to pay up to 69% more for whole chickens that the nearby US cities. Canadian Public Policy ("CPP") has accepted the manuscript of Ryan Cardwell, Chad Lawley and Di Xiang; all Professors of Economics, Department of Agribusiness and Agricultural Economics at the University of Manitoba. That journal is expected to come out in December 2014. In the interim, the Winnipeg Free Press has summarized the soon to be published paper. "They say the price differences amount to 2.3 per cent of the annual income of Canada’s poor people, but only half of one per cent of annual income for the rich. This means supply management is what economists call a 'regressive' government policy, hitting the poor harder than the rich." Whole chickens should be ubiquitous, the lowest common denominator, the primary resource from which all other chicken products are derived. As such, it should be the cheapest, generic form of chicken. How do we explain that what should be the cheapest, generic form of chicken has a 69% price differential between Canada and US, just on the other side of the border? The SM boys are quick to shoot holes in the papers data and arguments. For example, the #CHickenMafia claim that SM has been unfairly singled out, for no matter what the poor buy, it will consume a larger portion of their available income. That is the reason I took a different approach. Rather than comparing the rich to the poor, I compared each strata to themselves over time. Chicken has become up to 31.7% less affordable for minimum wage earners between 1995 and 2005 (see SFPFC's Blog Posting "Unaffordable Chicken In Ontario" ). Notice that the SM boys haven't attacked that sad statistic because there is no easy method to dismiss. I'm sure the #ChickenMafia research labs are toiling night and day to find a propaganda solution to that sad fact that I have uncovered. In the interim, it exposes the Supply Management System for what it is; a method to make a few millionaires from the price gouging paid by all Canadians. There are skeptics and deniers of strong scientific evidence located everywhere. Supply Management ("SM") is no exception. You don't have to be the first person to believe every rumor that comes your way. That is the definition of being gullible and naive. Leon Festinger's theory of cognitive dissonance focuses on how humans strive for internal consistency. When inconsistency (dissonance) is experienced, individuals tend to become psychologically uncomfortable and are motivated to attempt to reduce this dissonance, as well as actively avoiding situations and information which are likely to increase it. How does this apply to Canada's Supply Management System? It appears that we have not yet reached a state of Cognitive Dissonance for Supply Management in Canada. Go back to sleep, it's not yet time to wake up! To prepare for the awakening (or to hasten its arrival), I have presented evidence suggesting there are 2.7 deaths per year of Canadians that are caused by SM chicken contaminated by salmonella that is regularly sold at retail stores in Canada (see SFPFC's Blog Posting 2.7 Canadians Die Each Year from SM's Contaminated Chicken and discussions about this evidence on Better Farming. Those 2.7 deaths/yr from Canadian SM chicken was based upon both US and Canadian data. I have openly declared from the very beginning my use of US data due to the lack of Canadian data. Not everything is identical in both US and Canada, but they are often similar. Until we have the necessary data for Canada, the US data can help us estimate the likely effects and risks on a qualitative or approximate basis. In spite of this, the skeptics have totally rejected all evidence against SM's questionable methods as useless. It appears that the skeptics feel that SM Canadian chicken is perfect, the best in the world, and are unwilling to consider any suggestion to the contrary. I agree that there is some room for doubt in these food safety risk assessments; there always will be. However, there is a concept called "Precautionary Principle", first developed in Germany in the 1980's. "The Health Canada Decision Making Framework treats the concept of precaution as pervasive. As such it does not require extremes in the actions taken. Instead, risk management strategies reflect the context and nature of the issue, including the urgency, scope and level of action required." Shouldn't the Precautionary Principle also be applied to SM's practices? There is also the principle of Occam's Razor, which says the best answer is usually the simplest answer with the fewest assumptions. In spite of these two principles, there are those who still assume and believe in geocentrism (ie. the Earth is at the centre of our solar system, not the Sun). This argument started around 2,000 BC and continues to today, over 4,000 years and counting. Somehow, I don't think the SM debate will end any time soon. DDT was seen as a wonderful pesticide for the first 14 years (1948 - 1962), but slowly the mounting scientific evidence suggested otherwise. Other skeptics still insisted in sworn testimony before the US Congress in 1994 that the scientific proof was far from conclusive as to whether cigarette smoking caused lung cancer or addiction. That was 38 years after Doll & Hill's study of British physicians in 1956 first offered scientific evidence of what was suspected for 400 years before that. To be a skeptic is every individuals choice, to believe as they will. Soon, SM Believers may be added to the deniers of other scientific evidence listed above. We'll have to wait to see for sure. Do you believe it is OK for the masses being doomed to suffer as long as there is at least one person left who chooses to deny the overwhelming body of evidence against SM? I believe there is now sufficient scientific evidence to take action to improve SM chicken so as to reduce the risk and cost of this terrible system. 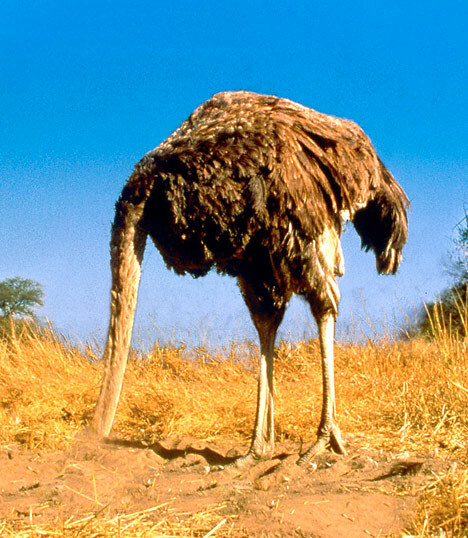 Further denial of the available scientific evidence delays the solution, and increases the risk and suffering for all. Based on scientific, objective evidence, we can reasonably conclude that approximately 2.7 Canadians are killed each year by contaminated chicken purchased in Canada. Since the Supply Management system has about 99.96% market share, this government regulated, approved system run by the #ChickenMafia can (and should) be held fully responsible for those needless deaths. This follows on my previous Blog posting "Deadly Canadian Chicken" which explored food-borne illness, and how poultry has been in the top 3 sources of food poisoning for decades. The deaths from foodborne illness are not always the direct cause of death. Sometimes people die from the complications caused or contributed to by the food poisoning. For example, one 26 year old man died of a heart attack that resulted from a severe bout of Salmonella Heidelberg food poisoning (Ref. 1). However, there is no mistaking the signs that this was food poisoning that started the problems. The calculation is as follows: (35.54 Million)/(100,000)*(0.05)*(0.1717)=3.05 Canadians killed each year from poultry contaminated by Salmonella. Canadians consume 4.2 kg/yr/person of turkey, and 31.2 kg/yr/person of chicken. Therefore chicken represents 88.14% of the poultry marketshare on a weighted average. Therefore Canadian chicken is responsible for 2.7 deaths each year from Salmonella poisoning and/or the resulting complications. Since the SM #ChickenMafia has over 99% marketshare, and their chicken is 10 times more contaminated than the chicken raised by Small Flockers and processed on the farm for personal consumption (see Blog posting Hope for the Mega Meat Manufacturers? where I compare the chicken factory 3,600 CFU vs. the Small Flocker on-farm result of 133 CFU) , it seems reasonable to attribute at least 99% of these deaths to the #ChickenMafia. On a weighted average CFU count, #ChickenMafia puts out 99.99852% of the total contamination into the marketplace, just 0.001478% by Small Flockers. Therefore Canada's #ChickenMafia (Chicken Farmers of Canada, Chicken Farmers of Ontario, and all the other provincial boards) are fully responsible for 2.7 deaths per year from chicken contaminated with Salmonella. Note that chicken is contaminated by many more pathogens than just Salmonella, so the real problem is much worse than what has been calculated here. So what is the government going to do about an approved, highly regulated system that kills 2.7 Canadians each year? I previously raised the issue of contaminated food, contrary to Canada's Food & Drug Act, but the Federal bureaucrats ignored the issue (see Blog posting "If It's Contaminated, Is It Food?"). Does it make it any easier or better now that we have reasonably estimated that 2.7 Canadians per year lose their life while both the Federal and Provincial bureaucrats fiddle? If it was one of your family members killed by contaminated chicken knowingly sold in Canada, would that be OK with you? Is Canadian chicken safe? Seems like a simple question, but there is a huge debate about the correct answer to that simple question. Better Farming posted a story in June 2014 on the increasing market share of chicken, consumer's desire to buy Canadian chicken, and the affordable chicken prices. I found that posting recently, and added some comments about "affordable chicken" being #ChickenMafia propaganda. An anonymous poster questioned my concerns about retail chicken prices, as they felt that CFO doesn't control retail prices. I responded and again with some facts, trying to show that CFO had absolute power to ensure affordable chicken if they chose to exercise that power. Stephen Thompson jumped into the conversation in support of my position that Supply Management ("SM") regularly takes advantage of the Canadian consumer. I decided to add some objective evidence previously researched for this Blog on the unaffordability of chicken in Canada when compared to LICO (Low Income Cut-off poverty level) and Ontario's Minimum Wage. An anonymous poster complained about the use of minimum wage. I responded with justification of the use of Minimum Wage as a benchmark, and reminded people that the unaffordable and poor quality chicken in Canada was causing or contributing to Canadians are dying every day. Of course, those statements were jumped and resisted here and here, supported here. Responding to the Cost of Production ("COP") issue, I shared the secrecy that CFO uses for setting the farm gate price for chicken. Raube Beuerman reminds the previous poster that the issue was chicken feed costs, not all costs nor all animals. Then, the worm on the hook is dropped into the stream of questions, asking for me to justify my statement that poor quality, high priced chicken was causing and/or contributing to deaths in Canada. With all these postings, it's a wonder any farming is getting done in Canada. Having had the door opened, I shared the source of the disease and death from Canadian chicken. I told them about the 4 million cases of foodborne illness in Canada, the chronic contamination of chicken with deadly pathogens, the chemical soup that is fed to the chickens so as to reduce the risk and costs of the #ChickenMafia, and the Frankenstein meat that results, with high Omega-6:Omega-3 ratios worse than slow grow and pastured poultry. Stephen Thompson replied that there was only weak, circumstantial, or no proven relation between Canadian chicken and disease or death. The cause-effect data for Canada is not readily available at this time. CFIA has started a Pathogen Reduction Initiative (PRI) for chicken, and is studying the baseline contamination level. This Canadian program started in 2012, and follows the same format as what the USDA completed in 2008. The USDA study showed a major problem for raw chicken, mainly from salmonella and campylobacter. Unfortunately, Canada is 4 yrs behind times. CDC estimates that 22% of all foodborne illness and 29% of foodborne deaths come from contaminated meats. Chicken is chronically contaminated, while pork and beef are usually periodically contaminated. CDC estimates that poultry caused somewhere between 5% to 20.6% of all foodborne illnesses in the USA between 1998 to 2008 (see Table 3 ). That analysis is based on 4,589 illnesses during that period. Poultry is blamed for 9.8% of all foodborne outbreaks and illnesses, 11.5% of all foodborne illnesses that required hospitalizations, and 19.1% of all foodborne diseases that resulted in death. Until Canada catches up on solving the lousy Canadian chicken issue, I suggest that these US percentages are applicable for Canada, until proven otherwise. Do you agree? If not, why not? Do you still insist that my previous posting was "overly dramatic"? Is my previous posting so easily dismissed as exaggeration and hyperbole? If you base your opinion on other data that conflicts with this data, please provide the links and explain further so we can all better understand the source and justification for your jaded doubts. Have I convinced you that we have a problem with poor quality chicken in Canada? Upstarts in the Conservative Party of Canada ("CPC") tried to upend the dogmatic support of Supply Management, a new first. The motion to change policy was defeated for now, but the voices for change are growing, both with the party, as well as outside. It is unknown where the growth of Anti-SM will advance the fastest, to first hit critical mass; whether within or outside the CPC. 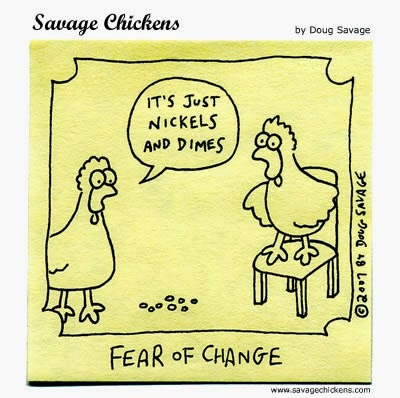 "Fear of Change" for Supply Management? I learned of this news item from the Chicken Farmers of Canada ("CFC") in their Annual Report for 2013, on page 39. Therefore I'll let the CFC tell their story first, before I give my 2 cents worth. "Chicken Farmers of Canada Chairman Dave Janzen and staff attended the 2013 Conservative Policy Convention held in Calgary from October 31st to November 2nd. A contentious policy motion on Supply Management was brought forward in the economic policy session by the Electoral District Associations of Medicine Hat, Edmonton—Mill Woods—Beaumont, Calgary Southeast, and Calgary—Nose Hill. It recommended a change in wording (and policy) that would move Conservative Party support away from supply management and towards a transition to something new. The motion was opposed by the Minister of Agriculture, Gerry Ritz, and a group of Ontario MPs, including Gary Schellenberger. Minister Ritz was the first to speak and came out very strongly against the motion. He defended supply management and stated that it does not stifle innovation, is not a barrier to trade, and is not responsible for inflated prices. Many other MPs also spoke in support of supply management and voted against the motion, including the Minister of International Trade, Ed Fast. In the end, the motion was voted down 182 to 42, dying in the economic session before it could make it to the Policy Plenary Floor." Well! Wouldn't that have plucked the chicken had that proposal passed. Assuming everybody voted, there were 224 delegates in total. If only 42 voted in favor, that's just 18.75% of them in favor of moving away from Supply Management ("SM"). Sounds like the lunatic fringe, but wait, there's more to this than meets the eye. In reality, they are just about ready to be winners of their motion. Here's why. All great ideas start with one lunatic who asks why, then doesn't like the answer received. That lunatic pesters and bugs, and asks more foolish questions, until somebody else sees the light of day. Now we have a movement, for we have a leader and a follower. When we have gained our first follower, the movement has doubled in size. Doubling is what all great movements are all about. The leader and follower of their movement keep pressing their issues. Eventually, they get 2 additional followers. They just doubled in size again. For the CPC, they had 42 people convinced on the evils of SM in spite of the biggest guns the party coming to bear at point blank range to support SM in its moment of need. 42 votes in favor is equivalent to 6.39 doublings (eg. 1,2,4,8,16,32,64,...). To get 50%+1 vote so as to have a majority, they need 7.8 doublings. Therefore, in terms of doublings, which is the correct measurement for all movements that must grow exponentially or die, these lunatic upstarts are already 81.9% towards their goal. If these lunatic upstarts tripped and fell over in the right direction, they'd be across the finish line with their majority. Does the #ChickenMafia realize how narrowly they dodged the bullet? No wonder they sent their biggest gun, David Janzen, CFC Chairman to the PC Convention for 3 days of schmoozing with their political masters. "Since 2011, there has been an increasing amount of sustained and largely negative attention to Canada's supply Management System on a scale to which we are unaccustomed." Install a full-time person as Public Relations Officer. Don't give up now, you 4 Alberta CPC Riding Associations, for the fight has just begun. Those 4 upstart CPC riding associations in Alberta need to be congratulated for their effort and fortitude to go against the current policy because it's the right thing to do. Beyond filling our tummies with yummies, poultry can be an important source of many nutrients that are important for our mental health. Free range, pastured poultry have significantly better nutrients levels than chickens from mega factory farms. Mental health problems are more common than many of us realize and according to the Canadian Mental Health Association around 8% of us will experience major depression, with many more suffering from milder forms of this illness. While medication and talking therapies are available to manage depressive symptoms, the role that a nutritious diet can play in its treatment should not be underestimated. In fact, Dietitians of Canada (2012) highlight the importance of nutrient dense foods for promoting good mental health and treating mental illness, including depression. High quality poultry from organic and free range sources fits well within a diet aimed at enhancing mental well-being, as chicken and turkey offer several key nutrients linked to mental wellness. As we recently explored, organic chicken is a useful source of omega-3 fats. This is good news for anyone suffering from depressed mood, as health food store Rachelle Berry points out there is a proven link between enhanced intake of omega-3 fatty acids and easing depressive symptoms. Their report discusses several clinical studies that show clear benefits of upping our intake of omega-3 when it comes to our mood. For instance, a study by Montreal researchers demonstrated that depressed people receiving a daily dose of 1050mg of the omega-3 oil EPA for 8 weeks benefited from improved mood. EPA is Eicosapentaenoic acid, one of the Omega-3 polyunsaturated fatty acids (PUFA). It is also known as icosapentaenoic acid, timnodonic acid, or 20:5(n-3). They also cite evidence that people with low mood, but who don’t have clinical depression, can also benefit mentally from extra omega-3. When it comes down to the role that omega-3 fatty acids play in combatting mood disorders, EPA acts as a chemical messenger in nerve cells and helps to block production of inflammatory signalling molecules that are linked to depression. Poultry is rich in the essential amino acid tryptophan, which is responsible for that contented and sleepy feeling you get after eating a chicken or turkey dinner. There is a good reason why tryptophan has this effect on us, as Restorative Formulations explains that this amino acid enhances production of the mood boosting chemical messenger serotonin, which also regulates our appetite and sleep. Health Link British Columbia (2013) discusses the link between low levels of serotonin and depressed mood, and how this is used in a class of antidepressants that increase serotonin production. Low serotonin levels aren’t just limited to depression though, as Bulimia highlights that mood disorders are common among patients with anorexia and bulimia, which helps to explain the association between eating disorders and substance abuse. Making chicken and turkey a regular part of your diet is a natural way to increase serotonin levels and keep related disorders at bay. There is also interest in the role that B vitamins play in promoting a balanced mood, particularly with reference to vitamin B6 and B12. Poultry is especially a good source of vitamin B6, with 100g of chicken providing almost one-third of our daily requirement for the vitamin. Advanced Orthomolecular Research reports how a higher intake of both B vitamins is associated with a significantly lower risk of depression among seniors. This connection between B vitamins and mood can be explained by the impact they have on a substance known as homocysteine. As JAMA Psychiatry (2008) explains higher levels of homocysteine are linked with a greater chance of depressive symptoms and vitamin B6 and B12 can bring down raised levels of homocysteine, enhancing mental wellness. The mineral selenium is another nutrient linked to better mood. Selenium in our diet has been depleted over the years due to intensive farming that has contributed to soil depletion. Most commercial chicken feeds now contain added selenium to boost the health of the animal as it grows and develops. It is easy for consumers of good quality poultry to get enough of this mineral, as a 100g portion of chicken provides almost 40% of our daily selenium needs. This also means that when you eat chicken that has been fed in this way, you're also automatically upping your own levels of this mineral too. An article in Nutrition Research Reviews (2012) presents evidence for the benefits of selenium on mood. The researchers report on studies that show the value of a selenium rich diet, as well as supplementing low selenium intakes, with improved depression scores seen among women with postnatal depression. Selenium’s role in promoting mental well-being may relate to its antioxidant activity, which may help to preserve healthy levels of thyroid hormones and dopamine, both of which control our mood.